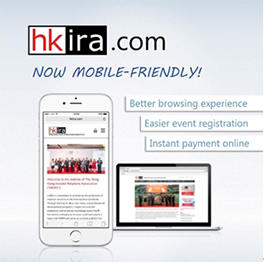 Did you notice that HKIRA.com has become mobile-friendly since early August? Whilst discussions on how IR could leverage the advanced technology, HKIRA is catching up the pace to provide a better on-the-go browsing experience. Thanks to irasia.com, our IT support, the responsive site includes all functions and content as you see at your desktop. We are also now accepting online credit card payment, so you can enjoy simplified event registration, and membership application and renewal. With both new features launched, making a last-minute registration for our next event could be done anywhere in less than 3 minutes! Of course we would not want you to miss our upcoming gathering or updates. To make sure you get all our emails, check out this simply step-by-step instruction to add HKIRA.com to your safe sender list. And, don't forget to connect with us on Facebook and LinkedIn! 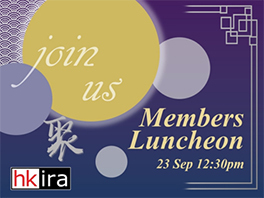 HKIRA is running the Executive Certificate in IR programme with HKU SPACE for the 4th consecutive year. 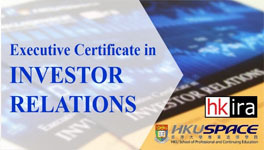 The programme aims to provide students with the key concepts and practices in investor relations, and covers a range of practical tools, applications and research to provide a solid foundation of investor relations. This part-time programme consist of 3 modules, 15 hours each. Lectures will be conducted face-to-face in English over weekends within 3 months. Topics include capital markets, corporate governance, regulations, corporate finance, communications and investor relations practices. – Each module will be assessed by written assignments (100%). – All assessments will be in English. Congratulations to the following candidates who passed the CIR examination in August 2016! The next examination will be held in December 2016. For the more details, please visit: http://hkira.com/en/education/cir.php. 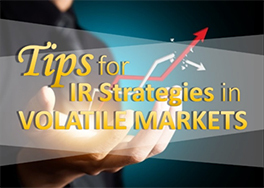 Gather and share with other IR professionals. ListcoPro Seminar "Listing Rules Update: ESG Reporting - Challenges, Approach & Practices"